In the everchanging digital marketing landscape, it’s crucial for professionals to stay on top of digital trends and instruments. With hundreds of free online marketing courses available only a Google search away, there definitely isn’t lack of learning material. However, how do you choose the best ones? We collected the list of top 7 digital marketing courses that come completely free of charge. So that you can spend more time learning and less time searching. In 2019, inbound marketing is the new black in the digital marketing world. According to the State of Inbound 2018 report, 75% of companies practicing this methodology find their strategy effective. 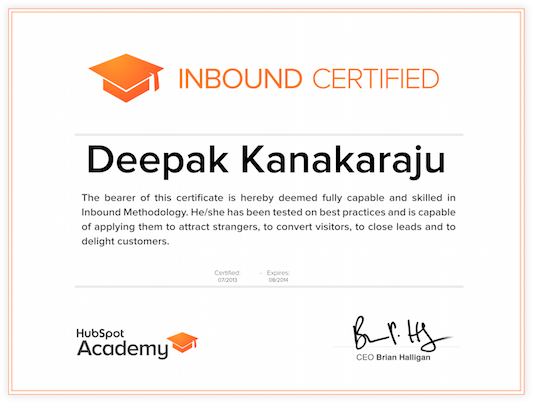 To educate entrepreneurs and marketers on how to build an inbound marketing strategy that will bring results, HubSpot Academy offers a free marketing course. The course is packed with helpful and practical information, starting from how to create a blog post to applying a customer market approach. After completing an exam that takes approximately an hour, participants get an official certificate and a badge to showcase their new skills on a resume or LinkedIn. Facebook Blueprint is a collection of online courses aimed at educating people on how to use the powerful marketing features that come with this social network. With a whopping 6 million enrollments and 75+ free digital courses available, Facebook Blueprint helps you build the skills you need to grow your business online. The topics cover a variety of cases, from building awareness to learning about Instagram. The great part is that you can simply select what you want to master, and Facebook Blueprint will come up with a selection of free online marketing courses recommended for you. 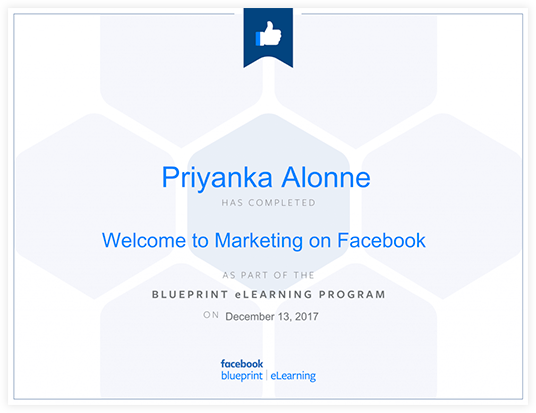 If you are struggling to stay on top of all the digital marketing opportunities that Facebook has to offer or simply would like to refresh and expand your knowledge of the platform, make sure to check Facebook Blueprint out. 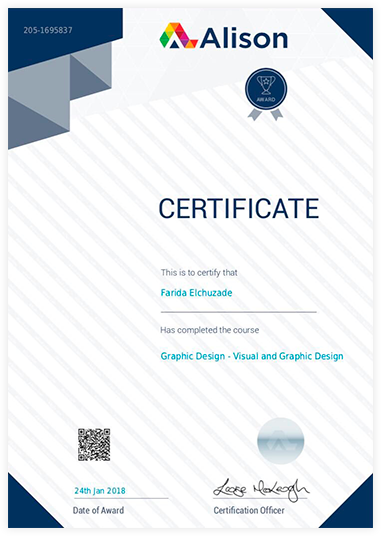 Official certificates and badges are available for two core competences – Facebook Advertising and Facebook Planning. 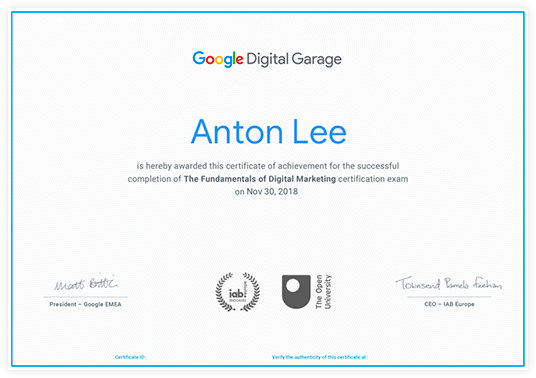 Google Digital Garage takes a slightly different approach to online digital marketing courses. While it covers essential topics like building a strong online strategy and promoting a business with online advertising, you can also master other skills like networking and improving your online business security. This free online marketing course also offers certification in the Fundamentals of Digital Marketing. The course is aimed at the beginner level and provides a comprehensive overview of what it takes to build a successful online business strategy. Being able to measure your digital efforts correctly is key to understanding how your business is doing online. 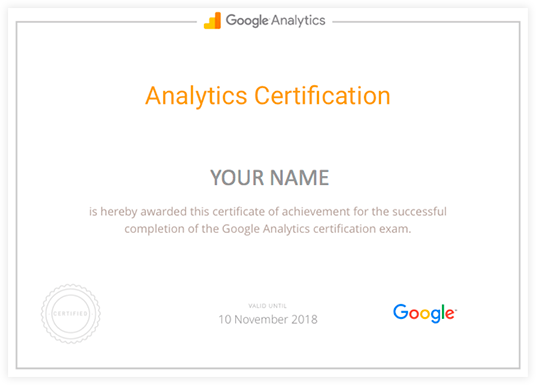 That’s why Google Analytics Academy online course is THE one you need to take in order to learn all the ins and outs of Google Analytics. The Analytics Academy offers courses for different levels, from beginners to power users. After completing the course, you’ll be able to track and analyse your business online performance and make educated decisions and improvements. In addition, there are mini-courses on YouTube analytics available, too. PPC University is a free online digital marketing course created by WordStream, a leading online advertising platform. It aims at helping professionals build their PPC and digital marketing skills. For small and mid-size online businesses, allocating their advertising budgets for best results might come in as a daunting task. WordStream’s PPC University provides the information in bite-sized chunks that are easy to learn and digest. It offers three different levels of learning, from beginning to advanced. In addition to that, you can take advantage of downloadable whitepapers and webinars, all aimed at helping you demystify the controversial world of online ads. Copyblogger’s Internet Marketing for Smart People stands out from the list of other free digital marketing courses. It is a free 20-part course AND ongoing email newsletter that teaches everything there is to know about online marketing. Since 2006, Copyblogger has written extensively about effective digital marketing. Later, they put these resources together into a comprehensive reference guide. They base the “Copyblogger method” of creating a profitable business online on four pillars: relationships, direct response copywriting, content marketing, and having something worth selling. In their free online course, they elaborate on each one of these four pillars, providing actionable advice on how to market business online. Alison is a free learning platform that offers free online courses on a variety of topic, digital marketing included. You can sing up via a social account or email, and learn at your own pace. The topics covered in the Alison free digital marketing courses include social media marketing, marketing management, digital marketing, and public relations. Unlike other popular MOOCs like Coursera, Alison does not provide any video lectures. Instead, you can sign up for a course and learn a topic in the form of presentations. The convenient thing is that you can discuss any questions with fellow learners, right in the comments section. Whether you are an entrepreneur, digital marketing manager, or startuper, staying on top of digital marketing trends is essential for driving your business forward. In this sense, free online digital courses are there to help. Can you recommend any other great — and free! — digital marketing courses?